It’s Sunday, early in the morning. It’s still dark. The first rays of sunshine appear in the sky, gradually illuminating the seas, lands, forests, caverns. One cavern, specially, where a tomb had been sculpted in. This cavern – now, a tomb – should host a body of a dead man. However, it has no body inside. Only the linen strips that held the body. The day gets brighter. The rays of sunshine inside the tomb not only illuminate it but give serenity and faith. But, how come a tomb give faith to anyone? Many people on earth have heard about this story: a man, who was pure and good at heart, who committed no crime or no sin. Yet, this man was judged and convicted to die on a cross. This same story has been told over the years (many years, by the way – approximately a thousand, nine hundred and eighty-three years) without suffering any change. This is the story of Jesus, called Christ for the ones who believe him. Jesus is the main person in the Bible. And, even though the influence this book has on several countries and their cultures and politics, its veracity is often theme of discussions, studies and debates. People doubt the authenticity of the Bible for diverse reasons. But there’s one that stirs their minds: the resurrection. "Early on the first day of the week, while it was still dark, Mary Magdalene went to the tomb and saw that the stone had been removed from the entrance. So she came running to Simon Peter and the other disciple, the one Jesus loved, and said, “They have taken the Lord out of the tomb, and we don’t know where they have put him!” So Peter and the other disciple started for the tomb. Both were running, but the other disciple outran Peter and reached the tomb first. He bent over and looked in at the strips of linen lying there but did not go in. Then Simon Peter came along behind him and went straight into the tomb. He saw the strips of linen lying there, as well as the cloth that had been wrapped around Jesus’ head. The cloth was still lying in its place, separate from the linen. Finally, the other disciple, who had reached the tomb first, also went inside. He saw and believed. (They still did not understand from Scripture that Jesus had to rise from the dead.) Then the disciples went back to where they were staying." John is one of the people who witnessed Jesus’ empty tomb. The fact is also related in Matthew, Mark and Luke. The empty tomb is one of the facts contested by historians, scientists, philosophers, and so on. Once you know what happens when someone dies, it’s hard for you to believe that one person, after being dead, had come back. If we consider what the Bible says as the truth, then there’s no body left to be buried. Indeed, there are no registers of Jesus’ body for a burial ceremony or so – what leads Christians to believe Jesus arose from death. It’s possible to number some evidences to prove Jesus really lived and died – and rose from death. 1. The oral story passed through generations: experts defend that is impossible to sustain the same story over time without changing it. 2. The Holy Bible: besides being “The Holy Book”, it’s historical. It tells several remarkable events of people from Palestine, Egypt, Assyria, and the Roman Empire. Besides the examples quoted in this text, it’s important to mention that Jesus Christ is the main man in humanity’s history: he’s the only one that ever changed the history. He did so history have been divided in two: before and after Christ. However, all the evidence could, and would be confronted because it’s hard to put faith and knowledge together. Christians are often known as people who do not think. Just believe. Actually, it takes hard thinking to understand everything God has done for humankind. Besides having faith. Faith. How come a tomb give faith to anyone? The basis for this faith is in the fact that the tomb is empty. The picture shows us a pigeon, which represents the Holy Spirit, but in order to give us faith. The colors, the tones of white and yellow, the shadows; the sheet – they help us feeling all the hope, as the Bible says in all four Gospels: The Savior is alive. Still, it is a matter of believing it or not. As Jesus says, "Because you have seen me, you have believed; blessed are those who have not seen and yet have believed." 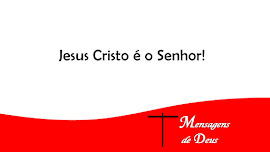 (John 20: 29). 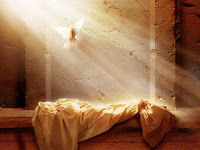 For the ones who do not believe, the empty tomb is nothing but tale. Maybe a hoax. But for the ones who believe, the empty tomb is a representation of a unique God who came down to earth to fulfill his mission and that one day is coming back. The empty tomb is a symbol and registers that no one else has risen, only Jesus Christ.